Football is an institutionalized sport in Britain. Major matches are almost national holidays, with employees and their bosses finding ways to, almost religiously, watch the game live. It is the trademark of English yob culture, but suffers from long-standing negative associations with rowdy and antisociable behaviour1. Our fans are the most violent, least respectful, most disruptive and worst behaved in the world. It seems that it attracts the worst types of people, frequently sending them abroad en masse, crowding them together in the worst possible ways. But worse of all the culture around football doesn't only attract these personality types, it seems to develop them. It has become a self-indulgent sport of national moral decadence; around football you will find the worst violence, hatred, racism, xenophobia and homophobia. The most ignorant people will be commended in their stupidity, the entire culture of football is the tallest tower that trash culture can manufacture. The attitudes surrounding football have become an ugly monstrosity that overshadows what would otherwise be a sport concentrated on tremendous skill. But English trash culture, stupid, irresponsible, uncaring and violence, has made this sport its mascot and its primary recruiting ground. English youths are pressurized into football culture by peer pressure as much as they are sucked into trash culture; the two are both symptoms and causes of an inherently dysfunctional central-mass of the English populace. International distrust of the UK, and our culture, comes from our pitiful public displays during football matches, especially abroad. 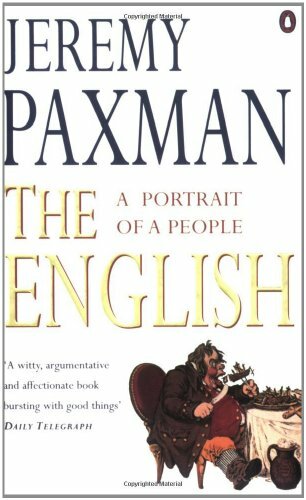 Jeremy Paxman is only stating obvious and well-known cases when he spends multiple pages of his book listing the atrocious activities of British hooligans abroad and at home, fighting with visiting fans. "The English Problem is the hooligan problem"2. Amongst the horrifying events he iterates is one in the summer of 1985 May, "when a major disturbance between Liverpool and Juventus fans left nearly forty Italians dead on the pitch". Drunken English youths throw chairs, stones and anything, at anyone, especially at opposing fans, shops and police. No other country has fans that act in the same league as ours". Our good-natured fans do little or nothing to restrict the bad ones; football culture is beyond repair, an international bother, an embarrassment, and no-one has the societal know-how to do anything about it. Clearly the "scum of the Earth" lowest-of-the-low recruits that were once indulged to join the Army have now found a new societal outlet: Football, under the protection of trash culture, is Britain's belated Hitler Youth movement. Less serious than that is simple football mania. Charlotte Church, singer, said "I just can't stand the UK's obsession with football. It's on the telly all the time. Saying that, I'd be the first to admit David Beckham really is very gorgeous. But men who talk football, football and nothing else - no thanks! They're such a bore"4. The television, largely catering for trash culture types, but especially pubs that show all football matches, have created classes of people who drink, eat, talk and sleep football. It forms a barrier against friendly social contact with non-fans in the same way you can't really talk to a raving fundamentalist Christian about anything else other than his own strong opinions. Socially, it causes alienation of the British public that so many of us are football mad, especially when the very same people are frequently the ones to deride USA patriotism... they don't see their own fandom as the same thing, the same personality trait that sweeps up fans into aggressive fanhood also whips many Americans into fervent and unreasonable patriotism. Football is the UK's answer to patriotism, the only problem is that those involved don't admit it is the same thing as the USA's. In 2015 Feb, an incident in Paris saw a large number of English football fans chanting Chelsea football slogans, and, shouting racist chants, and comments about World War 2 that were probably anti-French1. They forcibly ejected a black man from the carriage when he tried, twice, to enter, and prevented another black woman from entering. The scene was caught on camera by another Briton at the station who described the yobs at the "ugly scene" to be "very aggressive"1 and it was widely reported in the News in France and the UK, causing much embarrassment for the British public as a whole. Together, the British crowd sung "We´re racist, we´re racist and that´s the way we like it"1,5. Josh Parsons (21) and Mitchell McCoy are two of the chanting thugs who have been identified. Mitchell has tried to defend the crowd, making the excuse that the train was crowded and so they saw to it that no more people got on. But this hardly explains the racist chanting, in English, on a French train. "At the time of the incident, McCoy sent a number of tweets which he later deleted, including one which read: Our captain is a racist a racist a racist and that is why we love him we love him we love him"5. 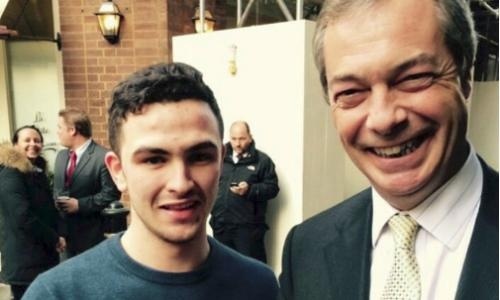 Both identified thugs are supporters of UKIP, a toxic single-issue political party that campaigns against foreigners in the UK. These two young men and their chanting friends no doubt complain loudly about antisocial foreigners coming to the UK and not speaking English. The racism, attitude and chanting are abhorrent and hypocritical, and everyone involved and all those that know them should forcefully tell them what a national embarrassment they are. Trash Culture is specifically British. It has become the mainstream culture across the United Kingdom. It is characterized by binge drinking, smoking, stupidity, the active hatred of intelligence & responsible behaviour, fashion-conscious youths, ignorant uneducated adults, misbehaviour at school, petty crime, organized crime, violence, homophobia, racism and xenophobia. Its greatest social monuments are pub culture and football, and its main facilitators are peer pressure, trashy tabloids such as The Daily Mail and The Sun, and uneducated, irresponsible parenting. Are the Intertwined Factors Causes or Symptoms of Trash Culture? Trash Culture Must be Put Back in its Place! Parent page: Why Dislike the UK? (1998) The English. Published by Penguin Books. A paperback book.